Here are some random music-related links for you to check out this weekend. You have to learn to play what is within your control. Check out the context and more here. Geared mainly for orchestral string players, there are some good nuggets of advice for any musician who rehearses and performs in 39 Orchestral Etiquette Tips Every Musician Ought To Know. Here’s a nice resource for music theory students about a variety of topics, including Backcycling, Chord Basics, Scales, and Transposing. Lastly, if you’re like me and both a Weird Al Yankovich and a Frank Zappa fan you’ll enjoy Yankovic’s tribute to Zappa, Genius In France. Unlike a lot of Yankovic’s popular music, this isn’t a direct parody of a Zappa tune, but rather written in the style of Zappa. I’m a little late today posting my weekend picks. I’ll make it up to you by posting one more than usual today. Have you ever wondered Why Nerdy White Guys Who Love the Blues Are Obsessed With a Wisconsin Chair Factory? Paramount is this incredible label that was born from a company called the Wisconsin Chair Company, which was making chairs, obviously. 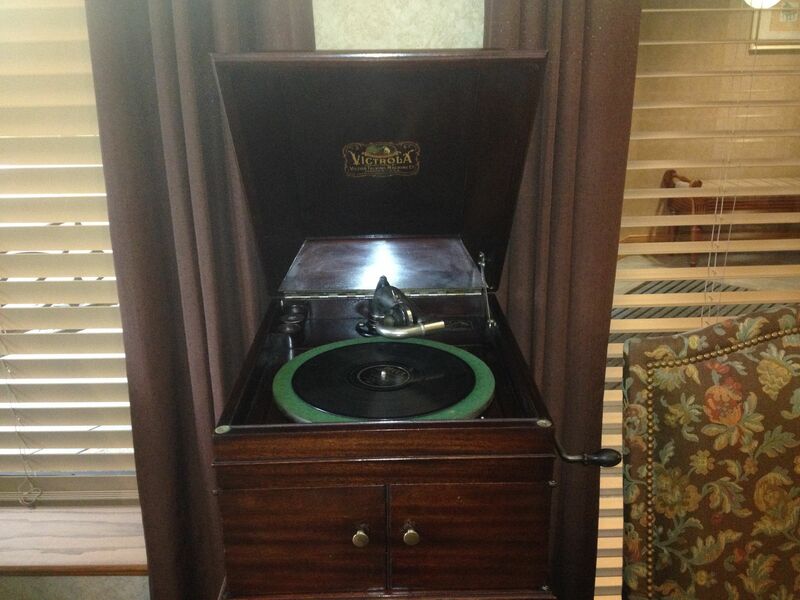 The company had started building phonograph cabinets to contain turntables, which they also were licensing. And they developed, like many furniture companies, an arm that was a record label so that they could make records to sell with the cabinets. This was before a time in which record stores existed. People bought their records at the furniture store, because they were things you needed to make your furniture work. Transcribing music is one of the best things you can do for all around musicianship. It helps train your ear, writing it down improves your sight reading, you develop expressive nuances in your own playing, and it helps you develop a vocabulary for improvisation. Kathy Jensen’s signature laugh with transcription. She has endless licks and can laugh in any key. She’s also a killer sax player. Her laughter is infectious. You can check out more about Kathy Jensen at www.hornheads.com. If you’re a jazz musician or a fan of jazz jam sessions you’ll recognize what Bill Anschell has to say about jam sessions. Consider, for example, the vocalists you run into at jam sessions. Read a whole lot more at Bill Anschell’s Jazz Jam Sessions: A First-Timer’s Guide. On a more serious note, I found Bob Gillis’s discussion on trumpet embouchures to be fascinating. I have some minor quibbles with a couple of his points, but those are based on the perspective of an upstream embouchure player. I’m guessing that Bob must be a downstream embouchure type (not a wild guess, the majority of brass players are). Here’s a sample. By then stopping the incoming mouthpiece weight when it first contacts this ideal preset of the embouchure, the player will have taken all of the steps to create the best possible seal before involving any action of the embouchure musculature. This extremely close proximity of the mouthpiece serves as a great reference…meaning it will clearly reveal what specific gaps still remain, and what exact shape the embouchure must assume to complete its interface with the mouthpiece. This embouchure “sandwich” (like the filling of the Oreo cookie) between the mouthpiece rim and teeth (with their irregularities) must fulfill much more than a role of a seal or gasket though, for it also functions as the instrument’s reed and facing (the top and bottom lips, respectively). That means the act of sealing the interface between mouthpiece and teeth formation must be done in a way that does not disrupt the vibration of the top lip, but that instead increases the efficiency of its vibration. This efficiency is achieved by also simultaneously focusing the size and shape of the lip aperture, all the while making sure the top lip is as relaxed as possible. Read more on his post, The Landing: The Final Focus and Seal. It looks like he has a lot more interesting stuff there which I will need to look through more carefully later. And lastly, the Mnozil Brass will be touring not too far from me in February. If you’re not familiar with them, they are incredible musicians and also very entertaining performers. Here is their performance of Lonely Boy. Mick, a trumpet/cornet playing friend of mine, and I were recently talking about jazz harmony. A while back Mick found a great resource on common patterns in traditional jazz (I wrote about it here, but the original page seems to have been deleted). That blog and our conversation reminded me of something put together by pianist Marc Sabatella called The Harmonic Language of Standards. Sabatella’s discussion on jazz harmony was required reading for my jazz improvisation students. I think it’s a great summary of the harmonic language of jazz standards. While only a summary of his more in-depth book, you can get quite a bit out of reading what Sabatella has made available for free on his web site. He has put together a very complete list of common chord progression patterns in a section about functional harmony. In my opinion, one of the most useful parts of it are Sabatella’s breakdown of common idioms. He divides basic chord patterns into five categories – cadential progressions, pre-cadential progressions, static progressions and turnarounds, transitional progressions, and modulations. Just as we can usually break a song down into a handful of broad sections such as AABA, we can usually break down each section into a handful of these idiomatic phrases. The phrases I am talking about are usually around two measures each. At slower tempos they may be squeezed into a single measure, and at faster tempos they might take four measures each. An understanding of these types of chord patterns really helps me memorize chord progressions because instead of thinking so much about individual chords I’m thinking of broader chord patterns. It also helps you come up with some new ways to think about chord progressions and reharmonizations. Sabatella mentions an example he uses on how to apply these principles to composition. I then discuss how to apply your understanding of chord progressions to substitution and reharmonization, using the standard My One And Only Love by Guy Wood and Robert Mellin as an example. Looking at just the “A” section, I first break it down into a series of eight harmonic phrases and then show how to go about performing substitutions using other idioms from the same categories as well as more direct application of the guidelines of harmony themselves. This is a great exercise for composers. Take a tune you know and break down the chord progression by the common idioms. Make note of certain key centers and using those as a goal, write a new chord progression that continues to maintain the road map of common idioms. For example, if you take the A sections of rhythm changes you might start your A section on the tonic, write a static chord progression for three measures, transition to the IV chord in measure 4, then cadence back to I in measure 6. A static chord progression for 7 and 8. Not the greatest there is, but there’s some potential in there. Maybe I’ll come up with a bridge and a melody for it too and see what it develops into. Try it out yourself. Read through Marc Sabatella’s Harmonic Language of Standards and then try reharmonizing standard chord progressions using those common idioms as a road map.